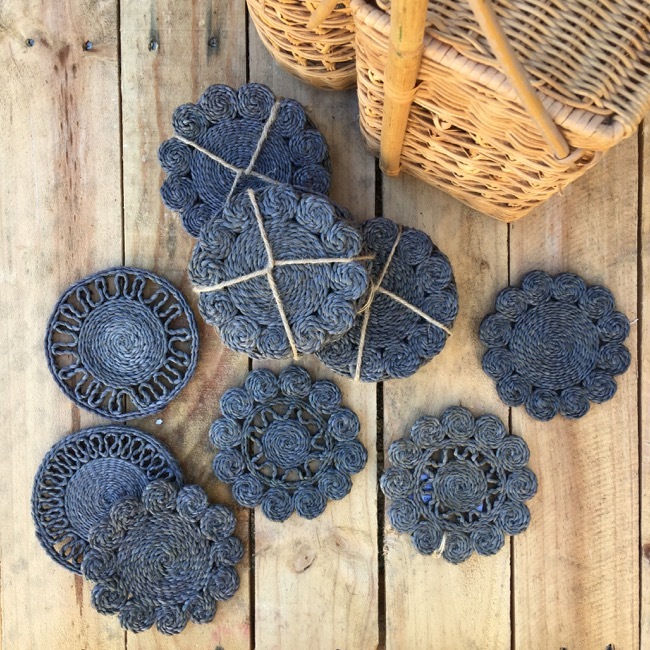 These beautifully handcrafted coasters in fine woven jute are designed with irregular retro flowers, and are part of our efforts to support rural women artisans through fair trade. A perfect accessory to Carnival’s Retro place mat, runner and trivets. The set consists of 6 coasters, two pieces x 3 designs.